1. Add olive oil to a large skillet or Dutch oven over medium heat. When hot, add the shallots and season with salt and pepper to taste. Stir until soft, about 3 minutes. Stir in the garlic, red pepper flakes, and optional anchovies. Stir often to prevent the garlic from burning and cook the anchovies until they melt in with the oil, another 3 minutes. 2. In a separate 4-quart pan, start boiling about 3 quarts of water for the linguine pasta. When it starts simmering, stir in 1 tablespoon of salt to the water, then let it continue to boil. 3. Back to the clam sauce skillet, stir in the wine and can of clams with their juices, let it simmer for about 5 minutes. Add the littleneck clams to the sauce, cover the pan, and continue to cook until the littleneck clams have opened, about 5 more minutes. 4. 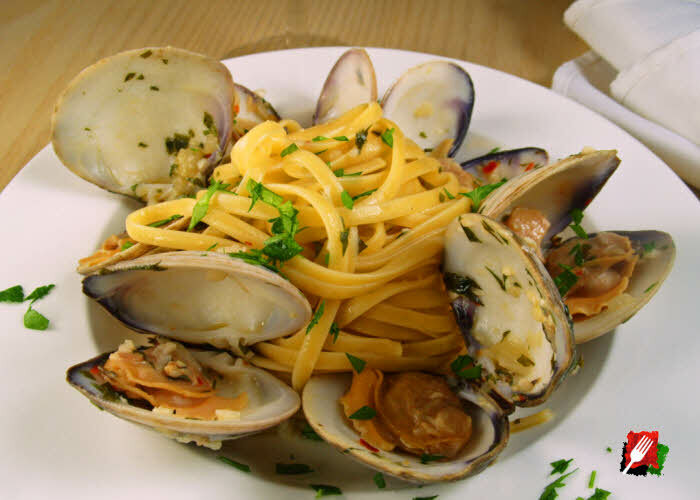 Remove pan from heat and discard any unopened clam shells. 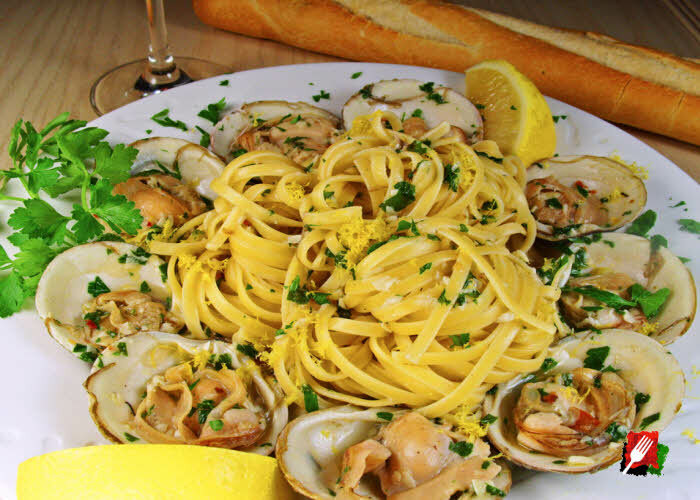 With tongs, remove the littleneck clams from the pan, set aside and cover. Add the linguine pasta (cooked al dente) to the pan, along with some pasta water, lemon juice, and 1/2 of the parsley. 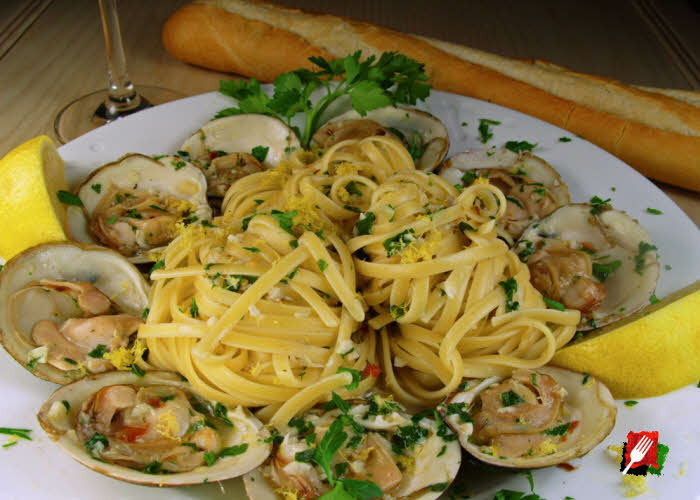 Toss well in pan, then plate with linguine, the clam sauce and some of the reserved littleneck clams in their shells. Top with the remaining parsley and a little lemon zest. Garnish plate with lemon wedges. Serve with grated Parmigiano-Reggiano or Pecorino Romano.